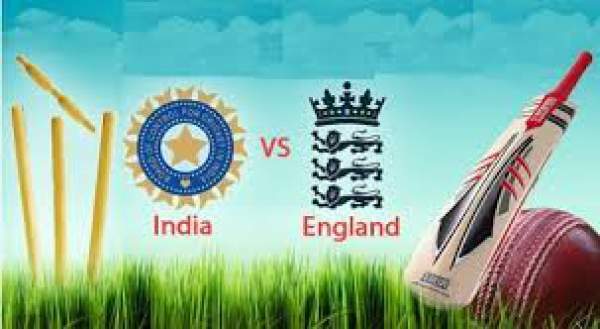 England vs India 1st T20 international series starts today, 3rd July 2018. Here’s is all you need to know about the 3 twenty20 game tournament – how to watch live cricket match today online, live streaming, score, squads, start time, venue, schedule, etc. India national cricket team has arrived at this point after playing 2-T20I matches against Ireland. Team Blue won the series and got the start it needed to take on the English side. It can be regarded as the match practice ahead of the grueling England tour in the summer. Indian players got some momentum. The strength of Indian team will now be tested against its English counterparts. The first twenty20 international match will be played at Old Trafford situated in Manchester. It is to be played today, July 3, 3018, Tuesday at 10 pm IST. Both the teams appear to be fine before the series opener. On papers, Indian team looks extremely strong in the batting department as it has been giving headaches to captain Kohli and the selectors. Both the openers of India, Dhawan and Sharma have gathered enough and sufficient runs. Besides them, KL Rahul has been playing really well. With his epic inning on Friday against Ireland, he presented a tough bid for the top spot. Though the middle order didn’t get enough time to be tested, but it is still known that the middle batting department consists of enough strength in form of Raina, Karthik, Pandey, Pandya, and Dhoni. Jasprit Bumrah has been one of the best bowlers for the death-overs, but he has been ruled out for the T20 series with England. In Bumrah’s absence, the bowling department appears to be one of the best in the recent years led by Bhuvneshwar Kumar. Chahal and Yadav have played a key role for India’s bowling unit in the recent times. On the other hand, England appears to be in a solid form after beating Australia by 5-0 in the ODI series. Hales, Bairstow, Roy, and captain Morgan are in their best form. India: Virat Kohli (capt), Shikhar Dhawan, Rohit Sharma, KL Rahul, Suresh Raina, Manish Pandey, MS Dhoni (wk), Dinesh Karthik, Yuzvendra Chahal, Kuldeep Yadav, Krunal Pandya, Bhuvneshwar Kumar, Deepak Chahar, Hardik Pandya, Siddarth Kaul, Umesh Yadav. England: Eoin Morgan (capt), Moeen Ali, Jonny Bairstow, Jake Ball, Jos Buttler (wk), Sam Curran, Tom Curran, Alex Hales, Chris Jordan, Liam Plunkett, Adil Rashid, Joe Root, Jason Roy, David Willey, Dawid Malan. Stay tuned to The Reporter Times for more cricket news, match result, highlights, scoreboard, etc.